On a busy night at the track there were plenty of PB’s across the long jump and two throws events as the third Intertrust Field Fest took place in collaboration with the OSA Recruitment All-Terrain Challenge track night – which also included invitational 100m and 1500m events. Rebecca Le Tissier has been a near-ever-present in this season’s local javelin events, and the Hampshire bronze medallist edged over 31m for the first time with her third round throw of 31.03m. 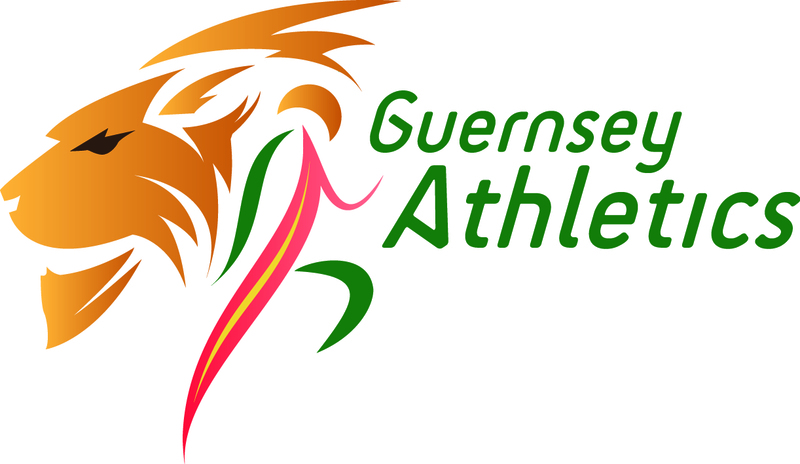 It’s been a pleasing and steady progression for Le Tissier this year following an injury-interrupted season last year – and it is unfortunate for her in particular that the Gibraltar Island Games does not include the javelin discipline as she has surpassed the would-be Development Standard of 30.00m. U15 Caitlin Jackson was just short of 30m but continues to show consistency in that distance range which is promising for next season when she is still in that age group – and Ellie Brouard and Amy-Jane Mealing both registered PB’s behind Le Tissier and Jackson respectively. Over at the long jump, there were 11 entrants and many achieved PB’s with the rest in the main producing solid performances close to their best. Abi Galpin for the third Field Fest in succession edged her PB up by a few centimetres and further pressed home her claim for an Island Games berth in the event. Her new best of 5.14m came in the final round and consolidated her 7th place on the island all-time list. Overall victory was taken by the returning Jordan Kelly ahead of U15 Ben Solway who again demonstrated some impressive consistent jumping – the two men achieving 6.01 and 5.50 respectively. There were also PB’s for Tim Ap Sion, Tilly Beddow and Sia Banbury. The shot putt saw U17 Steven Marley come within 2cm of his PB with 9.64 with the 5kg implement – and there were plenty of PB’s elsewhere from Sia Banbury, Phoebe Page and Indi Hilgeland-Wilkins. Most impressive performer in the discipline this year has been U13 Aideen Le Prevost and the youngster was only just short of her 8m PB with the 2.72kg shot. 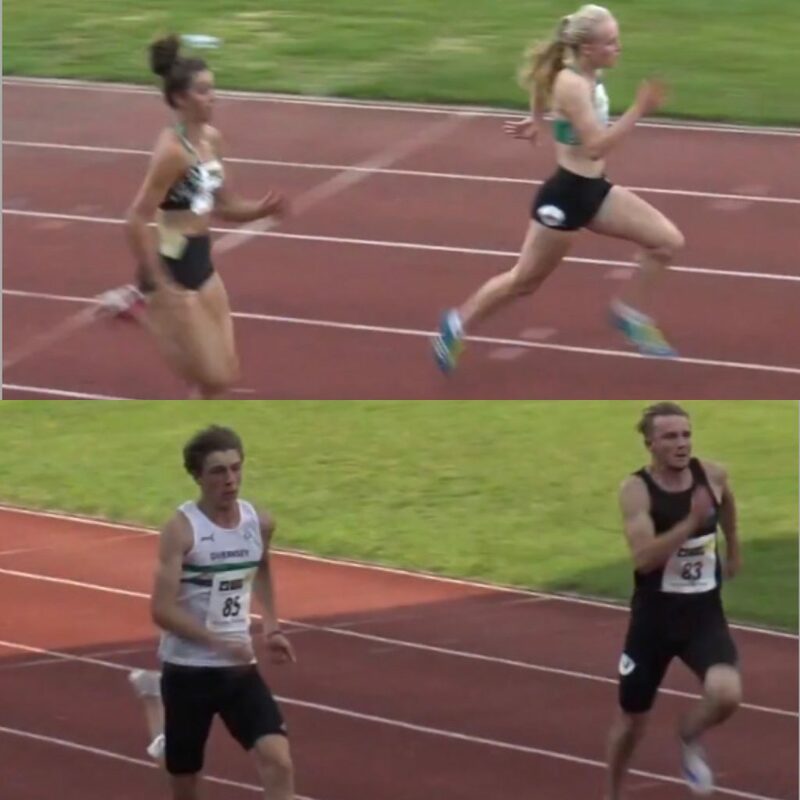 Away from the field, the 1500m provided the most PB’s from the invitational track events as mild headwinds blunted the 100m men and women. The race was won by Dan Galpin with 4:07.43 but it was third placer James Priest who caught the eye and went under 4:20 for the first time with 4:19.16 to continue his impressive progression in the metric mile. The women also impressed as Louise Perrio secured a SB of 4:44.47 ahead of Laura McCarthy who achieved an outright best of 4:49.53. Either side of McCarthy there were PB’s for the Ingrouille brothers Jamie and Mikey. In the sprints, Abi Galpin prevailed in an exciting battle with training partner Hannah Lesbirel 12.53 to 12.55. Both women with mere hundredths of a second (0.03 and 0.01 respectively) outside their recent PB’s despite a slight headwind. The two big names gapped the field by over a second but there was a exciting battle further back as third to sixth place were separated by just 0.07sec as Sara Marley held off Sofia Mella, Amy Dallamore and Caitlin Jackson. Peter Curtis ran his first 100m of the season and earned a large PB and the scalp of his training partner Lucas Rive 11.49 to 11.53 – like the women’s race into a slight headwind. The 400m hurdler has enjoyed a successful summer so far and looks to be progressing on the flat as well as the hurdles. Triple jumper Jonny Guille again tested himself against the sprinters and came away with a solid 12.19.